Paul Schuur, Senior Consultant, Qwise BV, Netherlands "Regardless of how much bandwidth you have, CACHEBOX is an excellent product that all schools could benefit from." Roger Warne, Technology Coordinator, Atlantic Community School District, USA "CACHEBOX had been very efficient and has worked great. Thanks for a great product and a great service." Requests for web content from any user or any device are typically treated on a ‘first come, first served’ basis without concern for which request is most important. 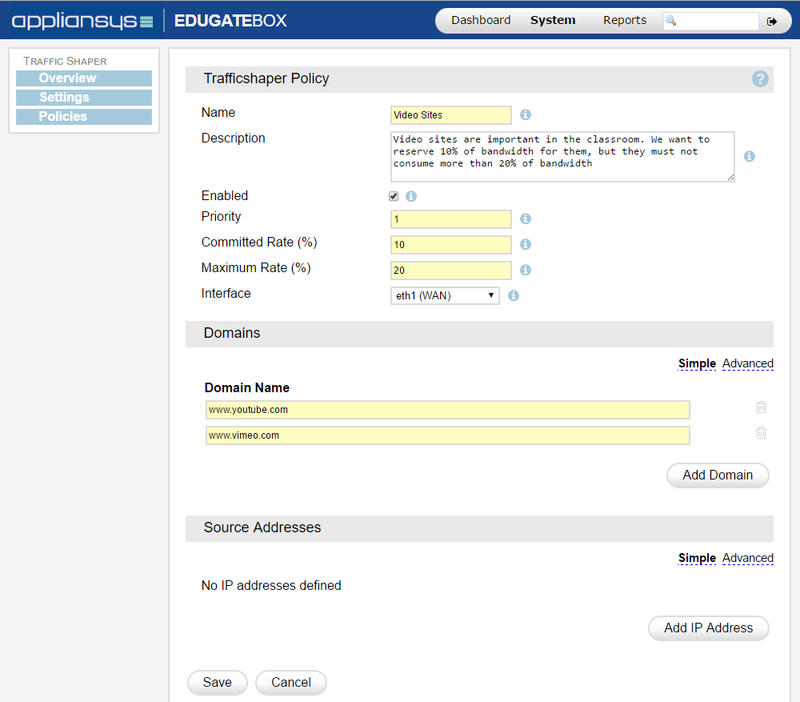 Traffic Shaping puts education authorities or individual schools in control of how an internet connection is used, meaning the content that really matters can be prioritised. Specific classroom content can be given priority over other content, such as YouTube videos, at individual school or regional level. Portions of bandwidth can also be reserved, for example, for use by an administrator to submit registration data to authority headquarters.